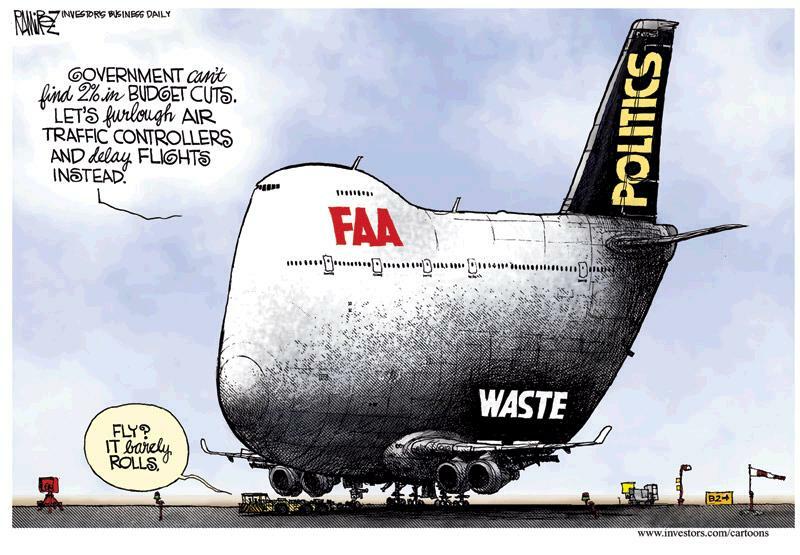 While the air traffic controllers are regrettably federal employees, aren’t the airlines paying directly for their services? If not why not? Their budget should be 100% covered by revenues for service. If the WH is deliberately making this harder on us, good job. That was the point of the sequester: to be so troublesome as to force compromise. It is actually a fairly good tool for teaching my children that the government is not on our side. The government is on its own side. They have picked the most productive members of our society to inconvenience, and democrats think this move is the smart play in this round of “whose money is it?” The lesson teaches itself.